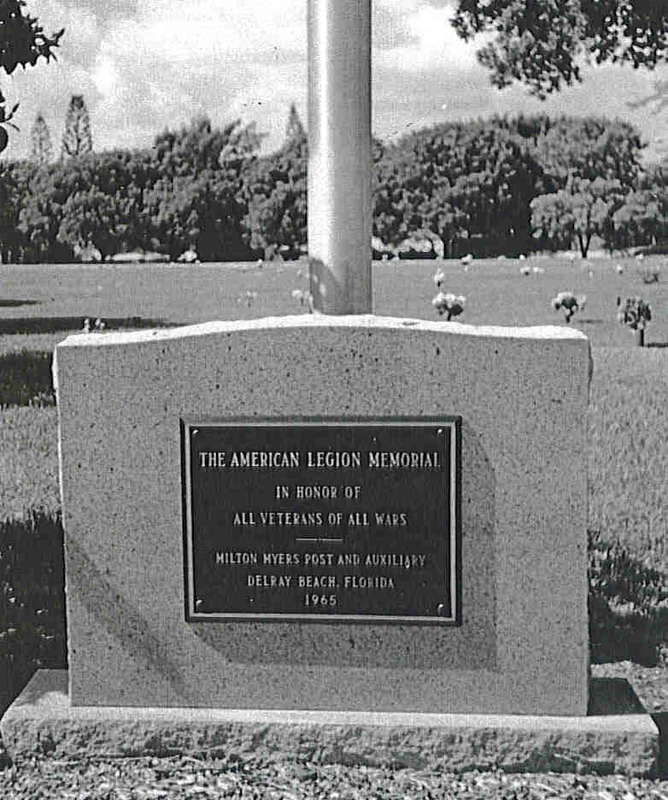 In 1902, the Ladies Improvement Association of the little town of Linton was given five acres of land by Frederick S. Dewey, agent of Henry Flagler’s Model Land Company, to be used for a cemetery. A few months later, the Association bought an additional adjoining 2 ½ acres and, in September 1903, they incorporated it as Pine Ridge Cemetery. It was located southwest of the settlement between SW Sixth Street on the north, SW Eighth Avenue on the east and SW Seventh Street on the south. Money from the sale of lots was to be used to maintain the cemetery. A family lot cost $5.00 and a single plot was $1.00. 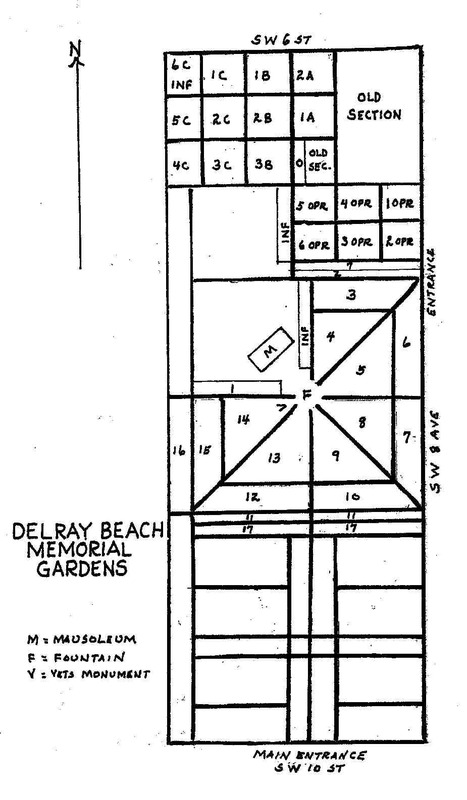 Delray became Delray Beach in 1927 and Pine Ridge Cemetery came to be called Delray Beach Cemetery. Because maintenance by the city was haphazard for a number of years; families had to tend to the upkeep of their own lots. Also, records were incomplete, with the result that many of the earlier burials cannot be located by block and lot number so we have relied on the information found in the city clerk’s offices. This resulted in a more accurate record of the burials. 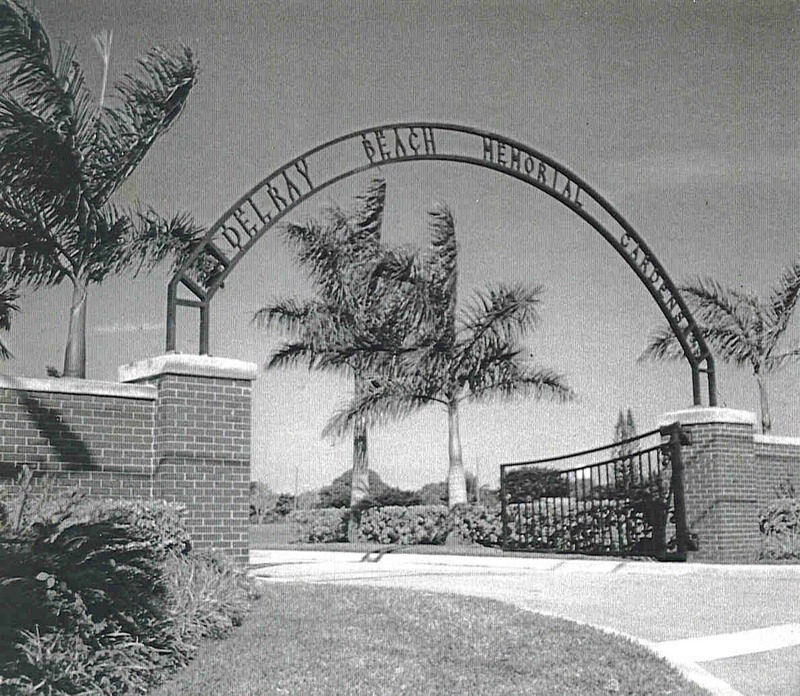 In 1995, the city greatly expanded the cemetery and changed the name to Delray Beach Memorial Gardens, though the original section is still called Pine Ridge. In addition to the entrances on SW Eighth Avenue, there is now the main entrance on SW Tenth Street. This beautiful cemetery covers 38.7 acres and as of 1997 had a mausoleum under construction. Every effort ha been made to include all known burials, and to be accurate as to spelling and dates, with the information available to our volunteers. Some dates are death dates; some are burial dates. Unfortunately, no distinction is made between the old, original part of the cemetery and the new block numbers cited. For example, Block 1 may refer to 1A, 1B, 1C, 1OPR or simply 1 in the newer section. This is true from 1 to 7. OLD refers to any part of the original Pine Ridge Cemetery. There are two INF (Infant) sections, though some infants are buried in family lots. Burials, totaling 3750, from September 1903 to October 1997 are included in this index. This project was made possible through funding from the Community Foundation for Palm Beach and Martin counties. Members of the Genealogy Society of Palm Beach County Cemetery Committee were: Lorraine Lentsch – Chairperson; Elizabeth Allen; Brett Brown; Randy Hall; Austin Hardy; Marjorie Nelson. Additional assistance provided by: Judy Gomery; Barbara J. McCann; Jane woodward; Marilyn Tuppen; Dot Lemstrom; Juelyn Reniger; Dorene Pearce; and James W. Lee. Straghn & Son Tri-City Funeral Home, Inc.